Your emotions are powerful. They can enrich your life and strengthen your relationships—especially with God. The writers of the Psalms knew this and were honest with God about whatever they were experiencing—love, anger, worship, loneliness, fear—and many other emotions. As they did this, they found joy in spite of struggles and turned their laments into praise. Above all, they drew closer to God. 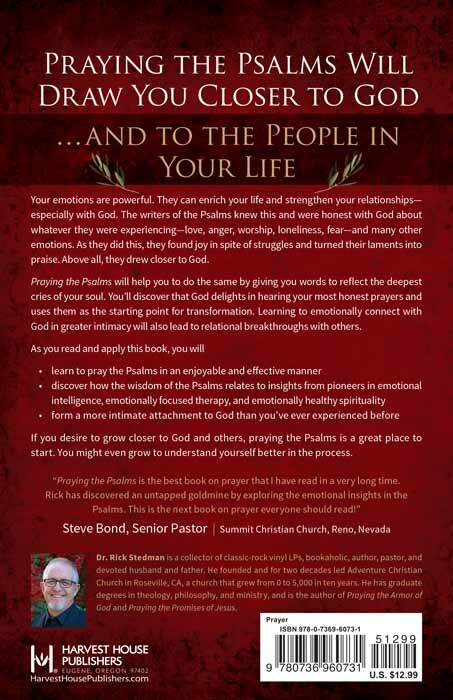 Praying the Psalms will help you to do the same by giving you words to reflect the deepest cries of your soul. You’ll discover that God delights in hearing your most honest prayers and uses them as the starting point for transformation. Learning to emotionally connect with God in greater intimacy will also lead to relational breakthroughs with others. 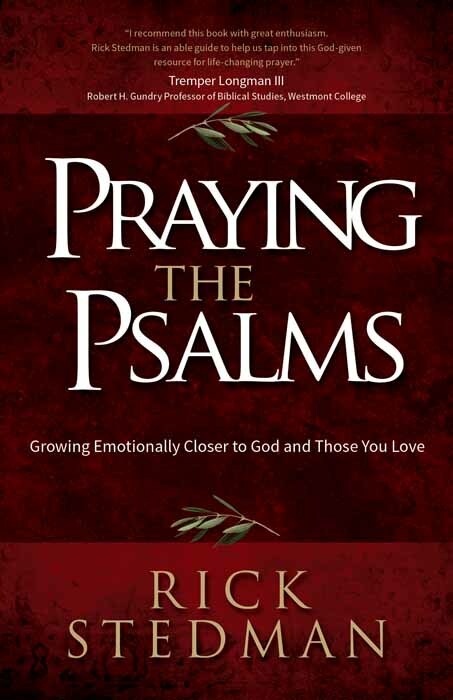 If you desire to grow closer to God and others, praying the Psalms is a great place to start. You might even grow to understand yourself better in the process.